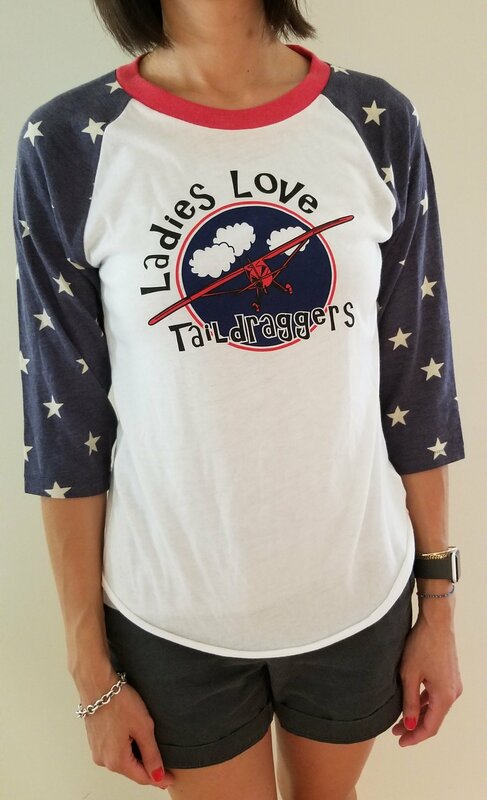 I hope you love our newest LadiesLoveTaildraggers tshirt as much as I do. 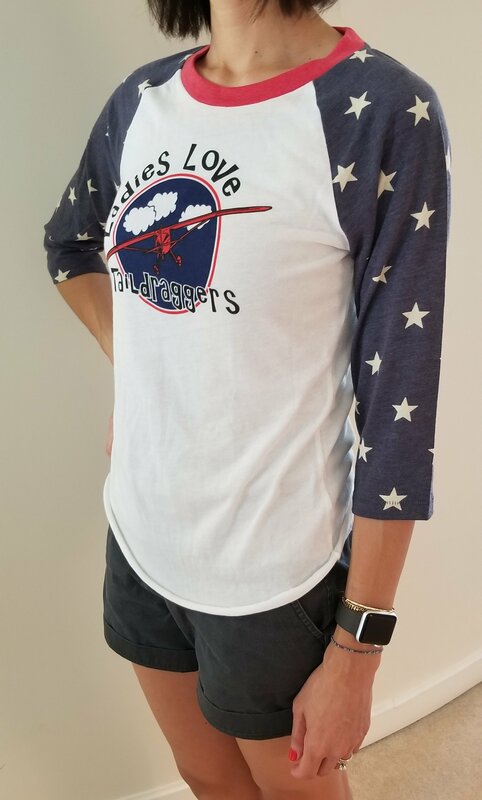 It’s baseball inspired with 3/4 sleeve and made from Alternative signature Eco-Jersey ™ for ultimate comfort and a casual look – custom screen printed for LadiesLoveTaildraggers! These t’s are light, soft & comfy with a slim, unisex fit. 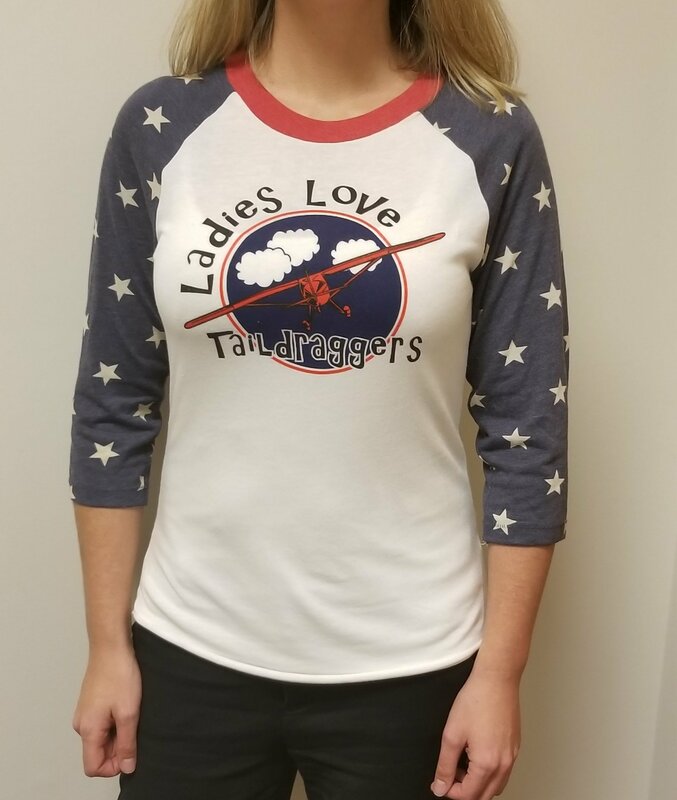 Size chart recommends ladies order one size smaller than typical ladies sizes and I agree. These tshirts weigh in at a mere 4.1 oz., stylishly light-weight and perfect for layering over a camisole or light tshirt. SHIPPING WITHIN THE U.S. INCLUDED! Be aware, this tshirt has a shirttail hem which is surged. It does not have a folded hem. Fabric printed and garment washed for a vintage look and feel. Rounded neckline sports contrast binding. 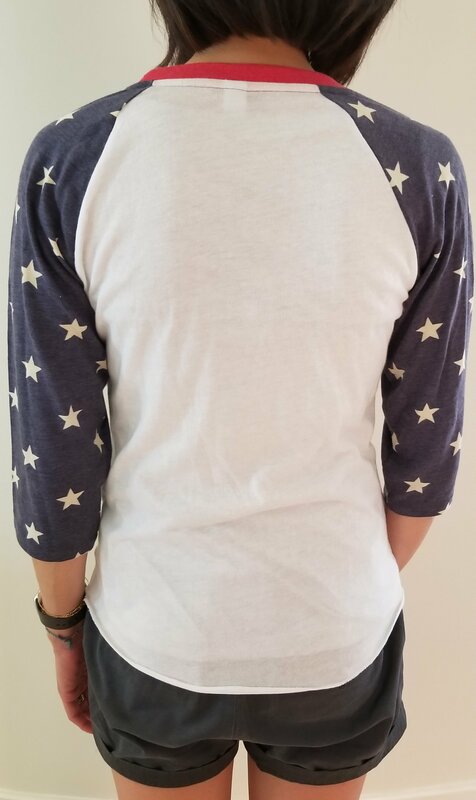 Contrast print enlivens the three-quarter raglan sleeves. 50% polyester (6.25% recycled), 38% cotton (6.25% organic), 12% naturally occurring rayon. International shipments: $17.50 for one or two tshirts. 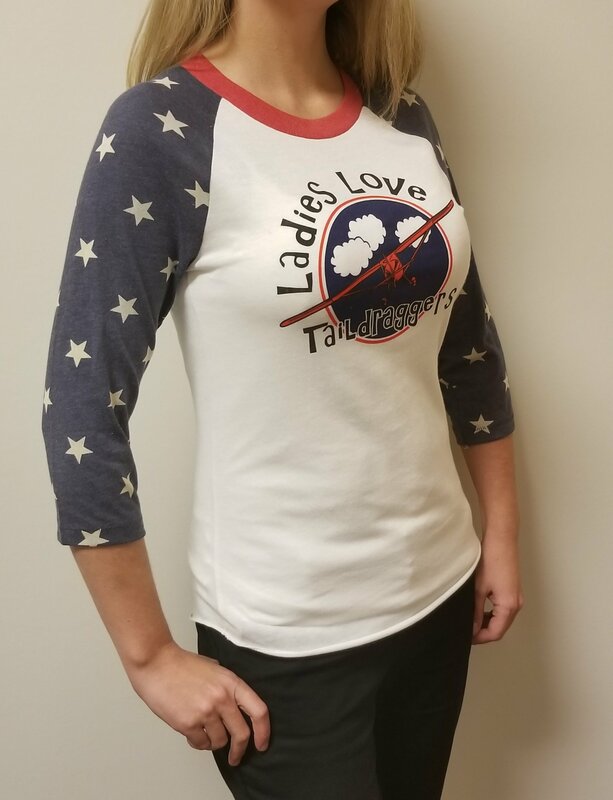 Please contact LadyTaildraggers@gmail.com for arrangements.